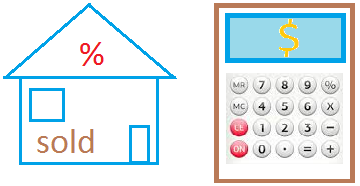 To calculate sales tax of an item, simply multiply the cost of the item by the tax rate. You buy a car for 20,000 dollars and pay 5% in tax. How much is tax? Tax = 20,000 times 0.05 = 1,000 dollars. You buy a house for 400,000 dollars and pay a tax of 6%. How much is tax? The cost with tax is 400,000 + 24,000 = 424,000 dollars. The list price of a scientific calculator is 100 dollars.If you get a price discount of 15% and pay 5% for tax, what is the actual cost of your calculator? Actual cost = 85 + 4.25 = 89.25 dollars. You will get the same answer if you compute the tax paid first and then compute the discount. Use the quiz below to see how well you know how to calculate sales tax.